Contributor Joe Link was recently honored by the American Agricultural Editors Association with one of ag journalism’s most prestigious awards: Writer of the Year, in part for his piece in the March 2017 issue of The Furrow, “The Crooked Road.” Joe’s award-winning story looks back to the “Big Bang” of country music, and explores its spiritual home in and around Bristol, VA. Just in case you missed it, we’re once again featuring Joe’s story here…enjoy! In 1927, Ralph Peer of the Victor Talking Machine Company in New York packed up his equipment, came to the little town of Bristol, Virginia, and put an ad in the paper saying he would have a “recording machine” here for 10 days. He needed local musicians to come and play blues, gospel, and what he called hillbilly music, and he would pay $50 per record side — good money for many mountain people. 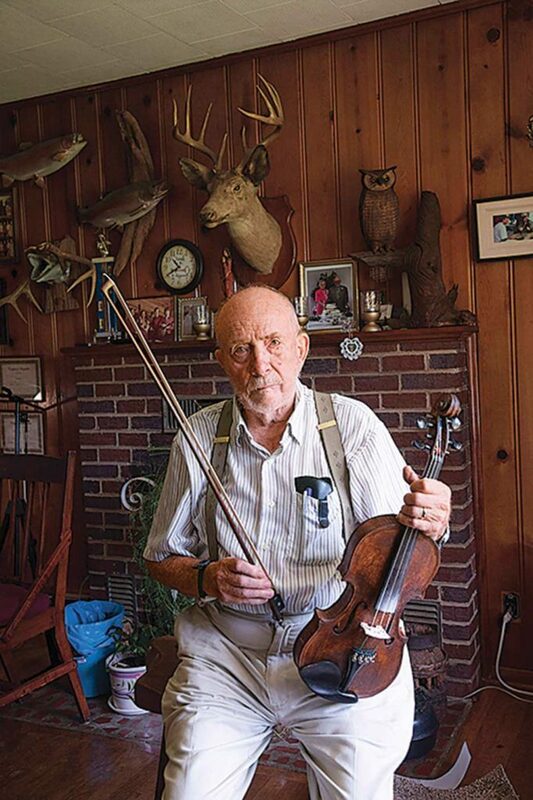 All they had to do was what they had done for generations — play old-time music. Peer had recorded “hillbillies” before, as had others, and the records sold well. But performers had to travel to New York to make the recordings, so Peer knew he had just scratched the surface of this music. By coming to Bristol, Peer hit the jackpot. In that first session, he recorded 19 performers or groups, made 76 recordings, and introduced the world to two artists who would become country music legends, The Carter Family and Jimmie Rodgers. The event would come to be known as The Bristol Sessions. As one music historian said, it was “the big bang of country music” — the start of everything. is Highway 58 — The Crooked Road. Bluegrass banjo player Millard Edwards leads a small group on the lawn at the Allen Hicks jam. The museum is a great way to learn about The Bristol Sessions—and all the music that came before and all the music that followed. It is not so much a museum as it is a learning center, a place to understand the people and how important music has been in their lives. At booths with headphones, visitors can listen to all of the original Bristol Sessions, including the Carter Family singing “The Storms Are On the Ocean,” Jimmie Rodgers singing “The Soldier’s Sweetheart,” and Ernest Stoneman singing “Are You Washed In the Blood.” You can also hear how these recordings influenced contemporary artists. The Tenneva Ramblers recorded “The Longest Train I Ever Saw” at the sessions, but decades later, Leadbelly, Bob Dylan, Joan Baez, and even Nirvana did versions of the same song. At the museum, you can hear them all, one right after the other. Musical history. The museum is one of nine major venues — places of special importance — on The Crooked Road, the name that co-founders Joe Wilson, a folklorist, and Todd Christensen, a community planner, gave the route 14 years ago. Another major venue is the Carter Fold, 25 miles away, near Maces Springs. 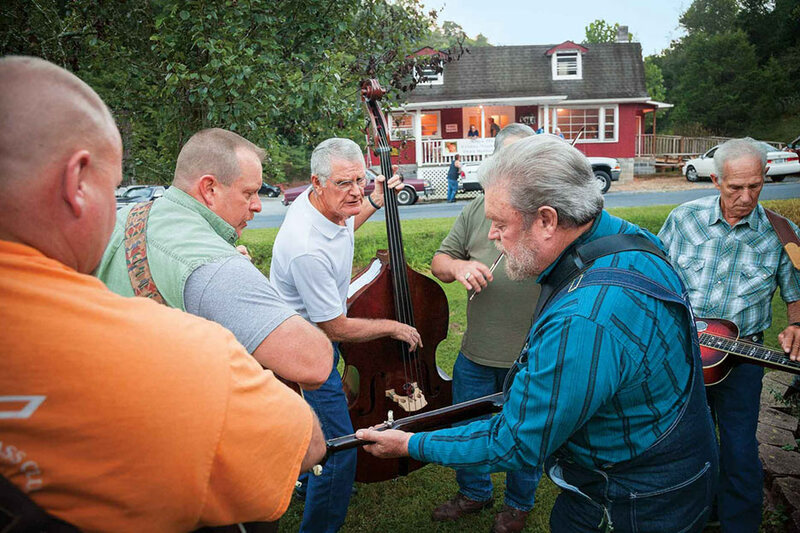 Every Saturday night, people gather at this family homesite beneath Clinch Mountain to hear and dance to music played by the descendents of the original Carter family — A.P., Sara, and Maybelle. The Floyd Country store is yet another. Every Friday night it attracts scores to listen to bluegrass, gospel, and old-time music. When you go, count on seeing some Appalachian flatfoot dancing (hard to describe, but it’s similar to clogging). But the major venues are just the beginning. Dozens of communities hold informal jams on a regular basis, and everyone is welcome. Entry is free, though you might see a bucket at the door with some dollar bills in it; small contributions are appreciated. The people of the music are indeed special. Allen Hicks holds his jam in his garage and workshop, across the road from his house, tucked into a tiny hollow on a narrow road, a place so remote that a first-time visitor might wonder if he will ever find his way out. Dozens of locals come to perform and listen every Friday night. If you play too, you’re welcome to join in, whether onstage, upstairs in the workshop, or out in the yard. Jack Hinshelwood, executive director of The Crooked Road, says the trail brings thousands of visitors to the 19 county area. It also has created 131 jobs and brings in about $9.2 million to the region each year. Mullins has a job during the week, but on most Sundays you’ll find him and his group, The New Harvest Brothers, in a church somewhere spreading God’s word. Sacred music became a strong foundation for early settlers and the generations that followed. Of the 76 original songs in the Bristol Sessions, nearly half were sacred songs. Arthur Conner became a master fiddle maker by studying books abut the violins of Stradivarius and Guarnari, the two Italian greats. And near Floyd, Virginia, on Conner Road, is Arthur Conner, who lives in the house he built from lumber he milled on his farm. 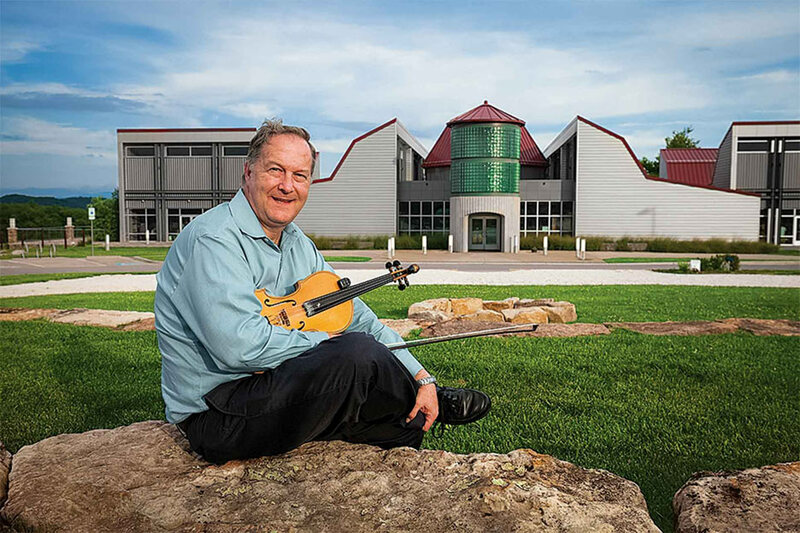 Conner is well known for the fiddles he’s crafted over the years. (It’s OK to call them violins, he says; there’s not a whit of difference between the two.) He doesn’t know how many violins — and mandolins and violas and basses —he’s made over the years, but he’s proud of his work. He made a five-string fiddle just for Ricky Skaggs. At 92, Conner knows he’s coming close to the end of this life on Earth. And yet, he has a violin he’s still working on. Then he puts a CD into his small stereo and sits back in his chair. Music begins. It’s a viola, playing the Ave Maria, a classical piece composed by Franz Schubert in 1825. For four minutes and 27 seconds, Conner is silent, listening to the calm spiritual music as he watches hummingbirds flicker in the summer sun outside of his front window. When the music is finished, he says, “I think that’s the most beautiful music.” The violist is Chris Sexton, playing an instrument crafted by Conner.